A SnoopyDance Moment when The Guardian announced on Monday that Tanveer Ahmed had been dumped from misogynist-rag The Australian for yet more plagiarism (rather than misogyny, victim-blaming, feminist-bashing or anything else… nice principles there Australian). Nor was it Ahmed’s first whoopsies in the cut-and-pastey faux pas. The psychiatrist and columnist Tanveer Ahmed has been sacked by the Australian for plagiarism – just two years after being dropped by the Sydney Morning Herald for a series of similar cases. Ahmed was exposed by ABC TV’s Media Watch in 2012 and consequently lost his regular spot as a commentator for Fairfax Media. On Monday the blogger Ketan Joshi accused Ahmed on Twitter of plagiarising the US political website Prospect in his latest article for the Australian, a controversial opinion piece on domestic violence. The editor of the Australian, Clive Mathieson, told Guardian Australia he became aware of the accusation on Monday. “When the Australian discovered it, we discussed it with Tanveer Ahmed and it was decided he would no longer be writing for us,” Mathieson said. OK, we read that as more of a sacking of a freelancer. The Australian take plagiarism most seriously, but misogyny (like the recent Colleen McCullough obituary) is sweet with them. And note that The Australian’s “door” is firmly shut. He promised to return to writing but said he would do it differently and stick to subjects “closely tied to my expertise”. I am really going to take that as him admitting that the reality and scale of domestic violence is not a subject ‘closely tied to his expertise’. All I can say is “good”. On Tuesday the White Ribbon campaign announced that Ahmed had agreed to step down as an ambassador following the outcry over his article in the Australian. His views expressed in the article and in subsequent comments were “inconsistent with the message and focus of the White Ribbon campaign”, it said. Dr Tanveer Ahmed’s article published in The Australian on 9 February 2015 and his subsequent comments are inconsistent with the message and focus of the White Ribbon Campaign. White Ribbon Australia appreciates the resulting deep concern of our supporters, including other White Ribbon Ambassadors. As I have made clear, the views of Dr Ahmed do not reflect the views of White Ribbon Australia. In recognition of this and the need to assess his future involvement in the White Ribbon Campaign, Dr Ahmed has stepped down from his role as White Ribbon Ambassador. White Ribbon Australia has followed the due process in place to deal with a formal complaint against an Ambassador. After publication of our statement regarding the articles by Dr Ahmed and Clementine Ford, we received a number of formal complaints that were then referred to the Board. The Board investigated and assessed these complaints. As a result Dr Ahmed agreed to step down from his role as White Ribbon Ambassador at 4PM yesterday. We want to reiterate that this process relates to the content of his opinion piece and his subsequent comments. Following his suspension as a White Ribbon Ambassador, Dr Ahmed can seek to participate in an Ambassador recommitment process to determine whether or not he will continue working with White Ribbon Australia. This process will be overseen by the White Ribbon Australia Board. Consistent with our operating procedure this will be thorough and fair and will not automatically result in his reinstatement as a White Ribbon Ambassador. Dr Ahmed has advised us he will make a statement available on his website. We also want to reassure our supporters that we are taking every step to ensure our 2200+ Ambassadors meet White Ribbon Australia and community expectations consistent with their responsibilities as a representative of White Ribbon Australia. Since 2014, all men nominating to become White Ribbon Ambassadors complete training, are interviewed and are subject to referee checks. In 2015 we will be further strengthening this by introducing an Ambassador recommitment process, which will help us determine the ongoing suitability of those who became White Ribbon Ambassadors pre-2014. Thank you to our Ambassadors and supporters who stood by the campaign during this period. This matter has been a reminder to us all about the importance of their role. Ambassadors are pivotal to the prevention of men’s violence against women, working with the community to make Australia safer for women and their children. Note: “Door” left open by WRCA (the ‘recommitment’). It is a bit all over the map, the CEO Libby Davies was interviewed (or wrote?) a piece on the 11th February in DailyLife indicating that Ahmed was suspended pending Board decision on the Thursday, and the letter above indicating Ahmed stepped down. Ahmed has been a White Ribbon ambassador since 2009 and Davies said he was appointed to the position before the rigorous process now in place. The application process for those who wish to become ambassadors includes a nomination form, two referees, a 30 minute interview and a two hour e-learning module. While the organisation undertakes background checks, Davies says that they do not conduct either police checks or working with children checks. That decision based on consultation with the police across states. Six ambassadors have had their positions with White Ribbon revoked since the campaign’s existence. Last year, the organisation completed a major review of the appointment and administration of the White Ribbon ambassadorships. There are 2200 ambassadors. OK, well six out of 2,200 is only a small percentage—but I do choke a little on the two-hour “e-learning module” (is that some silly multiple choice thing?). It takes far more than two hours to read Lundy Bancroft’s ‘Why does he do that?’, and frankly, that should be required reading for any ambassador speaking on the subject, especially males. Bancroft worked with domestic abusers for about 15 years before writing that book, he exposes the abuser techniques and manipulations, the failures of the court system and justice system to adequately protect women and children—and here is the spoiler—Bancroft thoroughly agrees with the feminist analysis, instead of shitting all over Second Wave Feminists like Ahmed did. Some unsolicited advice from me, no amount of ‘recommitment’ is going to get Ahmed up to speed, not even in the next decade. He’s way too far gone and loose cannonish. Cut him loose. It is not all doom and gloom for the WRCA ambassadors. From the little I have read on Phil Cleary, he does seem to ‘get it’ to a large degree, including failures of the courts; as his sister, Vicki Cleary, was murdered in 1987 by an ex-boyfriend, and the ex-boyfriend only received a short sentence for manslaughter, using the then Provocation defence. Cleary wrote a book about his sister’s murder, and later about another domestic homicide case which was pivotal in getting the Provocation defence removed. 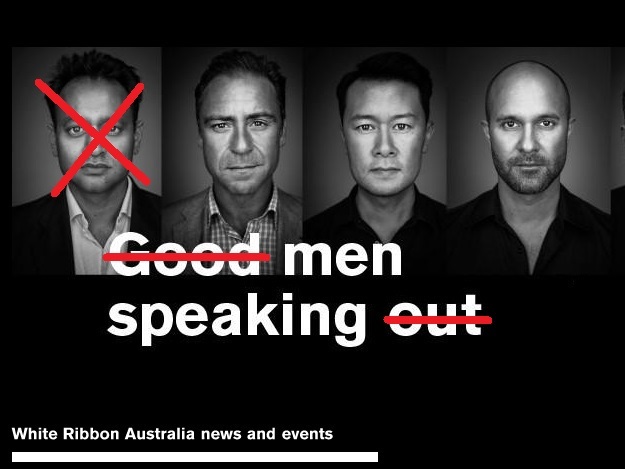 It has been my observation over the years, that the better male ‘ambassadors’ for domestic violence awareness raising are those who have had a woman close to them, murdered by a partner or ex-partner. It seems to force these men to really examine the role that toxic masculinity, male entitlement, and even failures by the police or legal systems played in their sister’s or mother’s (etc) death at the hands of another male. All that, is from the feminist analysis, which is why Ahmed’s anti-feminist remarks are frankly, unforgivable. Domestic violence and domestic homicide are not gender neutral. Perpetrators are overwhemlingly male, and victims are overwhelmingly female. As usual WRC Australia are refusing to take responsibility for fact they engaged a male who didn’t adhere to the supposed WRC mandate which is that males are the ones responsible for committing violence against women and girls – not families and certainly not women! Male accountability means men taking responsibility not declaiming endless excuses/justifications for mens’ choice and agency in committing/condoning/excusing pandemic male violence against women and girls. This misogynist male will continue to promote his women-hating lies and no amount of ‘education’ will alter his opinion. It isn’t ‘rocket science’ selecting men who do enact ‘the walk’ rather than those men who ‘talk the talk’ but swiftly demonstrate their politics are male supremacist! Or perhaps WRC need to finally listen to us real Feminists because we have years and years of experience in how to filter out those MRAs posing as ‘Pro-Feminists’ but that would mean men listening to women and that won’t be happening soon within WRC Australia organisation.